Nearly two years ago, the world eagerly awaited the arrival of Prince George of Cambridge, the first born child of Prince William and Duchess Kate Middleton. Once again, history is repeating itself. 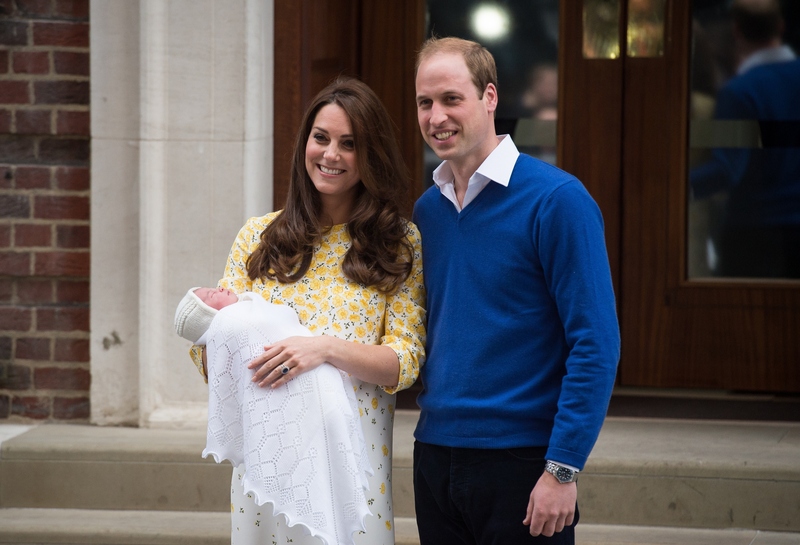 After anxiously waiting for the past few weeks, Duchess Kate and Prince William welcomed their second child into the world in the early hours of May 2nd. Weighing in at 8 pounds and 3 ounces upon her arrival, the new princess finally has a name. Though Alice was the favored moniker for the new child, the royal couple has named the second royal baby Princess Charlotte Elizabeth Diana instead. Although Charlotte was in the running for the royal baby's name, there were some who were banking higher on Elizabeth or Diana instead. That leaves just one question: did William and Kate name the princess after Prince Charles? The answer is yes and no. Though it may seem surprising to some that the royal couple named their daughter Charlotte, the moniker is extremely significant to both Prince William and the Duchess. According to The Daily Mail, "[The Princess' name] Charlotte — a name that is French in origin — is a nod to the little's girl grandfather, the Prince of Wales. Charlotte is also the middle name of Kate's sister Pippa Middleton." Though the royal couple probably couldn't get away with outright naming their daughter a traditionally male name like Charles, (like Blake Lively and Ryan Reynolds did with their daughter, James), I thought it was still a really cool twist on tradition. What is better than being named after your grandfather, the next possible King of England? The new princess is fourth in line for the British throne after Charles, Prince of Wales, her father, Prince William, and her brother, Prince George. All three of Princess Charlotte's names hold significance within her family, which makes it even more apt that she is the first princess to be born into the British monarchy in 25 years. They were probably saving all of these names up until now. Though we've only gotten a glimpse of her so far, I'm sure we will be seeing a lot more of the new princess as she grows up, sharing the spotlight with her adorable big brother George. Still, the real question we should all be asking ourselves is: how does Kate Middleton keep looking so immaculate just hours after giving birth?